The world's biggest electronics trade show, Consumer Electronics Show (CES) 2016, is just around the corner. This year, autonomous cars are expected to dominate while gadgets will get smaller, slimmer, and more powerful. 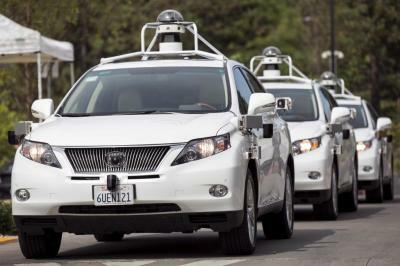 CES 2016 will be dominated by autonomous or self-driving cars, according to a report from International Business Times. Both start-ups and big name car companies are expected to showcase their new rides or make some announcements in January. Ford is expected to announce a partnership with Google regarding its autonomous car, which it has been testing for many years now. Meanwhile, Mercedes-Benz is also expected to show up at the event bringing its autonomous E200 and E300 models, which are scheduled to launch in two years' time. Audi's A8 sedan with self-driving capabilities is also expected to launch during CES 2016. Rinspeed, a Swiss specialist manufacturer, is expected to exhibit a concept car with interesting features. Dubbed Etos, this autonomous car reportedly has a foldaway steering wheel and a drone. There will also be a number of electric cars on exhibit at the show. Hyundai is believed to test its Tucson electric vehicle at the CES 2016, while Kia will be doing some demonstrations with its Kia Soul EVs. Volkswagen, which is facing an emissions scandal, will reveal an electric car at the show as well. Los Angeles start-up Faraday Future is set to unveil its first concept design on Jan. 4, which is believed to be an electric car with autonomous capabilities. In a separate report, CNet offers a preview of what's coming at the CES 2016 in terms of gadgets. In general, consumers can expect the CES 2016 to showcase "smaller, slimmer, and more powerful" desktops, laptops, and hybrids. The publication states microdesktops will be appearing at the event. Two-in-one hybrid PCs, with improved style and design better suited for professional and business users, will also be showcased. Chinese companies ZTE and Huawei are both going to make some big announcements. ZTE will provide updates on its latest efforts in the U.S. market, while Huawei will announce the arrival of its Honor sub-brand to American soil. South Korean company LG is scheduled to launch webOS 3.0 interface for its TV, as well as a flexible OLED TV. Some "truly wireless" devices are also set to make it to CES 2016, including wireless headphones from Earin and Pearbuds and wireless charging systems. The Consumer Electronics Show is an annual event where business leaders and other industry influencers come together to showcase new and innovative consumer technologies, as well as to address the most pressing issues. CES 2016 will be held on the first week of January in Las Vegas.